We also talked about the ensemble mindset of all great performers: the way they know that the quality of their own performance depends on the quality of the support that they get from their fellow artists. Great performers actively want their fellow performers to be great. They work hard to help them put on a brilliant performance of their own, so that the whole ensemble can feed off the resulting energy and new ideas. We imagined how well businesses could run if they developed a ‘performance culture’ in which team members behaved like a top-flight ensemble, pouring their energy into a barnstorming performance, with everyone working together to put on the best show they are capable of. What play are we in and what is our role? Where is our theatre of action? Have we built a trusting, connected partnership or ensemble? Do we know what inputs are creating our outputs? Here are a further 5 interesting questions from the arts that can throw light on our business performance cultures. Do we have the right people in the room? Many business decisions are taken in the absence of the people who will be influenced by that decision and the people whose help is needed to turn that decision into reality. We tend to rely too much on ‘protagonists’ – a handful of business leaders – and assume that they are capable of acting successfully on their own. Decisions that are taken in our boardrooms supposedly ‘cascade down’ the imaginary pyramids of our organisational structures. In reality, of course, these top-down sets of instruction tend to become garbled and misunderstood as they cascade down; they also tend to encounter some real-life glitches that – funnily enough – someone further ‘down’ the hierarchical pyramid would have spotted immediately. To make well-informed decisions, and to be sure that ideas hatched in the boardroom can be turned into reality throughout the organisation, we need to develop business cultures that actively involve the whole organisation. Delivery men and women need to talk to finance directors; engineers need to spend time with marketeers; managing directors need to spend time with check-out assistants. These different voices bring different and entirely valid perspectives that must be heard, and may be revelatory. In healthy organisational cultures, this is already happening. But we still take some major decisions in rooms where everyone is a protagonist and there are no ‘supporting roles’ present. As our colleague, Piers Ibbotson, teaching fellow at the UK’s Warwick University business school and an ex-Royal Shakespeare Company actor and director says, ‘It is exactly like trying to put on a production of Hamlet with a room full of Hamlets’. The play, Hamlet, cannot be understood without the presence of the Ghost, the Queen, Polonius, Ophelia, Rosencrantz and Guildenstern, Horatio, the soldiers, servants, players, gravediggers and all the rest of the cast. Every character – and everyone who contributes to the overall performance – affects the performance as a whole. If the stage directions say, ‘A flourish of trumpets and ordnance shot off, within’, the technical guys need to be sure they can deliver this before Horatio, startled, turns to Hamlet and asks, ‘What does this mean my lord?’ If Horatio waits in vain for the trumpets and cannons, abandons hope and turns to Hamlet to ask, desperately, ‘What does this mean, my lord?’ only for the trumpets and canons suddenly to blare and thunder out, drowning Hamlet’s reply – then the performance has descended into farce. It’s the same with business cultures; everything has to work together. The devil is in the detail more than the strategy. If we hope to put on winning business performances, we need to get the right people in the room and let them ‘rehearse’ different scenarios in search of the best solution. Allowing a room full of Hamlets to make all key decisions is a recipe for disaster. Where is the art in what we do? It’s one thing to be technically proficient; outstanding performances are also artistically wonderful. Great painters, dancers and musicians are, first and foremost, masters of their craft, and this enables them to perform in a way that lifts their work beyond excellence and turns it into something uplifting and transformational. Technical mastery is merely the starting point at which it becomes possible to develop real artistry. Top performances are technically near-perfect, by definition. Winning performances are ‘works of art’. We may be at the top of our game in finance, sales, management or engineering; design or coding; marketing or manufacturing. Our organisation may be producing great products or services. But here’s the question: we may be technically brilliant, but are we aesthetically wonderful? Where is the art in what we do? Is our leadership shared, allowed and passed around? In business, as in life, we feel the urge to control things. The world is messy and dangerous, and we feel safer when we have imposed order on it. This is not foolish, but there is a trade-off to be made. When we have complete order, there is no messy creativity or excited inspiration; when we have complete control, there are no happy surprises. Ensembles are directed, not controlled. Leadership in the ensemble is shared, allowed, and passed around. The result is a far more dynamic system that that represented by established, static models of leadership, with their rigid hierarchies of command and control. This shared power is also exhilarating. It provides a great proportion of the joy that performing artists find in performance. I set out in one direction, but your idea is slightly different. As we work together, in the moment, to find the best solution, we share in the joy of creativity. We are both equal before the task of producing something new and, hopefully, wonderful. If anyone attempts to force a solution on the ensemble, this becomes like ‘push-pull’ in a dancing partnership: if one dancer tries to impose his or her will on the other – if their ‘lead’ is not accepted – their partner ends up being ‘pushed around’. In dance as in business, this is horrid. The ‘leader as theatre director’ enables and guides the performance of the ensemble but will not be part of the performance itself. Their leadership has quite literally been passed on to the performers, who must now take to the boards on their own to interpret the vision that was forged in rehearsal, observed and guided by the director. The ‘leader as conductor’ remains very much a part of the ensemble, ‘leading from the front.’ The ensemble takes its cue from the embodied leadership of the conductor, creating a performance in which leader and ensemble are inextricably linked. There is an interesting corollary to this approach to leadership, which is that the leader of the moment must bring their unique personality to bear on the task, otherwise their contribution is meaningless. Offering a lead while pretending to be someone else is simply perverse. This is the real meaning of ‘authentic’ leadership, which is not to offer some idealised, heroic version of oneself as leader, but to offer one’s real self and to allow the other members of the ensemble to work with that. To do this, leaders must be transparent and unafraid. This ability to be unafraid and trusting is at the heart of what is involved in building a genuine ensemble. Leaders in business are likely to find themselves carrying out both of these roles (the leader as theatre director or as orchestral conductor) at different times. The ‘leader as commander issuing orders’ is to be avoided. Are we helping one another to perform brilliantly? At the heart of all performance art is the interesting paradox that performers have large egos – shrinking violets do not clamour to get onto a stage in front of an audience and invite people to judge their performance – yet all performing artists understand that their own performance is completely dependent on the performance of their fellow artists. There are a few exceptions, obviously. The stand-up comedian lives or dies by himself or herself. The star soloist performs with a supporting band or orchestra with whom they have spent little time rehearsing, and it is the band’s or orchestra’s job to support the soloist in every twist and turn of their performance. But these examples do not represent true ensembles. In an ensemble, it is impossible to win on one’s own. We may get accolades for our individual contribution, but it is the performance as a whole that is judged. It is only possible to deliver a truly winning performance by encouraging and enabling wonderful performances from every other member of the ensemble. Their energy and brilliance then feeds into our own performance, driving us to perform better; the whole ensemble begins to come ‘on song’ with that indefinable but instantly recognisable crackle and spark. At that point, it is possible that we will be judged to have delivered a winning performance. In the world of work, we are very bad at building genuine ensembles. The culture of individual success and individual reward undermines this. Good ensemble work is collaborative, or it is nothing. Individual egos and hierarchies must be subsumed to the greater good – the energy of large individual egos must be harnessed to deliver the crackling, sparking ensemble performance, rather than to allow one individual ego to grandstand and dominate proceedings at the expense of the coherence of the performance itself. Are we delivering a winning performance? Performing artists focus on ‘getting their performance across’ to their audience: on telling the story; on successfully transmitting the ideas and emotions inherent in the piece that they are performing and adding new nuances and meanings through their own performance. Most business cultures think in terms of products rather than emotions. If we have made a product that people want to buy, we believe that we have succeeded. We focus on the ‘consumers’ of our products and think about what we have to do to keep that consumption coming. But, as consumers, our relationship with our chosen brands is more complex than that. We don’t ‘consume’ our favourite brands so much as ‘enjoy’ them – and our enjoyment comes from far more than the simple act of consumption. The very best corporations put on a great overall performance. Everything about our interaction with the corporation delights us – or it should. The moment that one aspect of the performance jars, or disappoints, the relationship is damaged. They have struck a false note. There are always ready examples. Car companies don’t seem so trustworthy when we discover they are prepared to use ‘defeat’ software to cheat tests designed to enforce democratically-agreed emission regulations. Multinational corporations don’t seem so loveable when we find they are doing everything in their power not to pay local taxes. A company that gives us the run around with an automated phone system designed to save them money at the expense of our time and patience is slipping down the performance league. It’s the whole performance that matters. Successful companies do not merely sell great products and services, they put on a winning performance – a great show. The front-of-house staff are friendly and enthusiastic; the seats are comfortable; the gin and tonics in the crush bar are perfect and the ice-cream is yummy. The show itself is brilliant, with great individual performances and fabulous ensemble work; the set is ingenious; the lighting is astonishing and sound system blows your socks off. You leave the theatre on a high and immediately start planning how soon you can go back again. Now that is a show that will run and run. Developing business cultures that focus on delivering audience-wowing performances in the same way, creating crackling and sparking ensembles of top performers ‘putting on great show’, would keep our audiences coming back for more. We acknowledge the contribution of Piers Ibbotson, ex-Royal Shakespeare Company member and now Teaching Fellow at the UK’s Warwick University Business School. Piers is the author of The Illusion of Leadership and a contributor to Perform To Win. A recent article in MIT News reports that neuroscientists have, for the first time, identified the different neural signatures of implicit and explicit learning – the difference between knowing how to ride a bike and being able to remember facts and events. We’ve known since the 1950s that the two processes were different, but this is the first time that neuroscientists have been able to distinguish between the different brain-wave patterns produced by each. Perhaps surprisingly, we think this remarkable difference is of great significance in the world of executive coaching and leadership development. By the time most people reach senior ranks, they know most of the stuff they need to know to do their job well. We all have to keep up with the latest developments and with new ideas, so we do have to keep cramming more stuff into the poor old brain box. But that’s not the point. What most senior leadership development programmes are about (or should be about) is changing behaviours, not learning new facts; ‘learning how’ not ‘learning what’. We used to assume that all learning was the same, in terms of brain processes. Then, in 1953, a man called Henry Molaison underwent brain surgery in an attempt to stop his severe epileptic seizures. Given the state of medical understanding of how the brain actually worked and what functions its different regions might actually have, the 1950s procedure was the rough equivalent of bashing a computer’s hard drive with a hammer in the hope of fixing a processing problem. But it was well meant. The operation did alleviate Molaison’s devastating seizures; unfortunately, it also destroyed his ability to create new memories. He could remember almost nothing from the year or so before his operation and not everything before then; he knew about the stock market crash of 1929 and about World War II, and could remember things about his life, though not with specific dates attached. But he absolutely could not form any new memories. He could not remember what he had for breakfast and he was never able to recognise the researcher who worked with him for decades after the operation. He left notes in his wallet to remind him that his father was dead and his mother was in a nursing home, and this sad knowledge came to him afresh every time he read the notes. Despite his shaky memory of facts and events from the past and complete absence of any short-term memory, Molaison did retain his social skills: he was pleasant and even amusing company, even though (or, perhaps, because!) he had no idea whether his companion was a stranger or an old friend. Because Molaison was intelligent and functional in every respect other than his amnesia, he was the perfect experimental subject for neuroscientists. He was also a willing subject, happily performing rather tedious tests over and over again since, for him, each repeated test seemed fresh and new. Although Molaison could not form new memories, he could learn new motor skills. He was taught to trace the shape of five-pointed star by looking at the reflection of the star and his hand in a mirror, for example. This sounds simple, but is surprisingly hard. Everything is backwards; when you move your hand the way you think it should go, it goes the other way. You have to train the hand tracing the shape to do the opposite of what it instinctively does. Molaison learned how to do this, and he got better at it – but he had no memory of having learned the skill. Whenever he was given the task, it seemed to him that he had never seen it before, but, in fact, he was getting better at it all the time, to his own surprise. Learning ‘how to do’ something is an entirely different process from remembering facts and events. Large parts of our behaviour have nothing to do with ‘what we know’ and can remember. In business, as in life, success is not merely dependent on what we know, it is highly dependent on our behaviours; on how we work with other people. At The Human Energy Organisation, we have long believed that giving business leaders new information – ‘telling them stuff’ – is unlikely to be enough to change their habitual behaviours. And habitual behaviours are what really matter. When we discuss ‘organisational culture’, it is a collection of habitual behaviours that we really mean. The usual management approach to organisational culture is information-heavy; it’s about new mission/vision/culture statements: ‘We take great pride in fostering a culture of openness and transparency.’ That kind of thing. We all know that these things are vital, but saying that we believe in them doesn’t make them happen. ‘Knowing that’ is not the same as ‘knowing how’. We believe that real behaviours are more important than the best of intentions, and that the way to get business leaders actually to change their behaviours is to allow them to experience what better behaviours might feel like. You can tell people that they need to be less command-oriented and more ensemble-minded until the cows come home, but until they ‘get’ this at some emotional level, their actual behaviours are unlikely to change. It’s the difference between learning some new leadership theory and actually being a better leader. That’s why we are such committed believers in arts-based leadership development. Exposing business leaders to top performing artists, so that they experience how these artists work together as an ensemble to deliver an outstanding performance, is a powerful way to help leaders reassess and change their working practices. It gives them an insight into the way in which all great artists sometimes lead, and sometimes support; how performing artists know that the brilliance of their own performance is dependent on the equally brilliant performance of their fellow artists; how an audience (their ‘consumers’) can only be truly won over when the everyone is striking sparks off each other to deliver a great ensemble performance. Getting business leaders up close and personal with great actors, theatre directors, dancers, jazz musicians and classical conductors is a remarkably effective way to generate such gut understanding and significant ‘ah-ha’ moments leading to real behavioural change. And that is because of the difference between ‘knowing that’ and ‘knowing how’. Dr Mark Powell, one of the co-authors of this article, is an unusual beast: a dancing management consultant. Mark has worked at partner level at several consultancies, including Accenture, KPMG and A.T. Kearney. He is also a world championship-winning Latin ballroom dancer, winning the WDC Open World Over-35 Latin Championship for two years running while he was a partner at KPMG. In the course of his dance career, which began when he was studying Economics at Cambridge University, Mark came to realise that the techniques and mindsets that he used as a dancer to develop winning performances were very different from those that he tended to deploy in the world of business, but that those techniques and mindsets were entirely applicable to the workplace, and were potentially transformative. Performing artists develop a set of approaches and behaviours that allow them to master their own craft and to work with their fellow artists to develop a true ‘ensemble’ or ‘partnership’ mentality, encouraging and helping each other to deliver brilliant individual performances that come together to create an outstanding final performance. The absence of these mindsets from most people’s working lives accounts for much of the growing sense of ‘disengagement’ that is blighting modern business. If you have ever taken part in any kind of creative endeavour – if you have sung in a choir, played in a band or orchestra, performed in a play or musical, or done a stand-up routine, for example – then you may understand what we are driving at. When you ‘put on a show’ of any kind, you are fully engaged; your energy goes straight into your performance; there is no ‘organisational stuff’ that gets between your personal energy and the energy of your performance. If businesses could tap into even a fraction of the energy, focus and mutually supportive mindset of performing artists, problems of disengagement in the workplace would disappear. If companies had the same single-minded dedication to delivering a winning ‘performance’ that leaves their audiences calling out for more, their financial performance would be transformed. This article sets out five core aspects of the mindsets and techniques adopted by top performing artists. These take the form of 5 questions. They are not the kinds of question that we usually ask ourselves when we approach our work, but they have the potential to transform our workplaces. This sounds obvious, but it is fundamental. Every top performer starts out with this question. We have phrased it in terms of the theatre, but it applies to every performance art and it affects everything that the performers do. Classical musicians approach playing Handel differently to the way they approach Mahler. Jazz musicians approach Cool Jazz differently from the way they approach Bebop. Performing tragedy is different from performing farce. Great actors change everything about themselves – in subtle ways – when they inhabit a role. Think about Tom Hanks performing as Forrest Gump, and then as Commander Jim Lovell in Apollo 13 – everything about him is different. Steve Jobs turned Apple from a struggling computer manufacturer into the world’s most valuable company when he helped the company understand that the play they were in wasn’t called ‘Making great computers’ but ‘Helping people think different’. Understanding what exactly is our individual role in the performance is also key, as is the need to adapt our role in the course of the overall performance. Sometimes we have centre stage; sometimes our job is to feed another performer their line and give them centre stage. When a company (pun intended) knows exactly what show it is in and when everyone knows what their role is in relation to their fellow performers at any given time, that company is on the road to success. Several kinds of operation are called a ‘theatre’: the place where the crucial action happens. 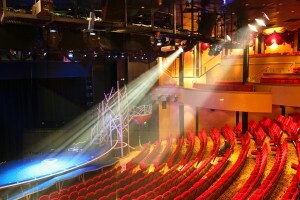 The stage, the operating theatre, the theatre of war, for example. In all of these theatres, there is a clear recognition that the most important people are those closest to the action: the actors, technicians and stage-hands; the surgeons, anaesthetists and nurses; the soldiers, gunners and tank drivers. Everyone else, no matter how ‘senior’ they may be, is essentially in a supporting role to the people in the theatre. The managing director of the Royal Shakespeare Company has a very important role, which is all about enabling the people in the theatre to put on great performances. Th is is a useful frame of mind for businesses to adopt: Where is our theatre of action? Where is the beating heart of what we do? Where is the vital interface between us and our customers – where do we get to meet the audience/patient/enemy/consumer? The key to finding the right answer is to focus on the essential outcome, the bit that really matters. A well-disciplined and perfectly supplied army that cannot win battles is not a good army. A brilliantly-run theatre group that cannot put on an audience-pleasing show is not a successful theatre group. A piece of software that is not user-friendly is not a successful piece of software. A shop that is not a pleasure to spend money in is not a successful shop. Once we have decided where the beating heart of our operation is, it becomes clear who is vital to a successful outcome and who, no matter how senior, is essentially in a supporting role. Amongst those who are vital to a successful outcome, what matters most is their esprit de corps. When the people at the interface are inhabiting their roles and delivering great performances, good things happen. Have we built a trusting, connected, partnership or ensemble? This is at the very heart of performance. Top performers focus on their fellow players and ‘connect’, responding in the moment to a subtle reading of their fellow artists’ intentions. This is very obvious in dance, where we talk about the quality of two partners’ ‘connection’. This kind of connection is sometimes described as ‘looking and seeing’. The theatre voice coach, Patsy Rodenburg, calls it ‘being in ‘The Second Circle’, as she sets out in this video. Looking and seeing demands effort, but it leads to highly functional relationships – and great performances. A good connection also creates complete trust – at least in the context of the performance. In business, we tend to throw a group of people together and declare that they are now ‘a team’. Building a real ensemble takes time, but if a group of people accept a challenge and are allowed to work their way to their own solution under the guidance of a ‘director’ – someone who is in charge but not in control – they will quite quickly begin to function like a real ensemble. Many managers still approach work in ‘command and control’ mode; we argued in an earlier article that much business thinking is still unthinkingly stuck in an ‘industrial’ mode. If leaders approached their work like a conductor approaches a choir, or in the way that a theatre director works with an ensemble, we would find it easier to forge ‘the connection’ and to build real ensembles of people, working together energetically and creatively to put on the best show they can. Rehearsal is not the same as practice. Practice is about running over something many times – one small element of a dance routine; a difficult musical phrase; the lines in a play – until it is committed to memory and can be performed without thinking. Our bodies take over and deliver the physical actions, which leaves our minds free to decide, in a live performance, exactly how we want to deliver that action or phrase; its weight, its timing; its accent. To discover the most impactful way of delivering that action or phrase in live performance, performers stop practising and start rehearsing. In business, we practice many different routines until they are near-perfect, but we tend not to rehearse in any meaningful sense – which is why we complain about the lack of everyday innovation and creativity in our workplaces. Rehearsal is a process of collaborative co-creation. Everything is allowed; nothing is prohibited. One player offers something to the ensemble and it is taken up and played with, not criticized. Performers adopt a mindset of, ‘Yes, and…’ They accept what is offered, add something of their own, and offer it back, until a point is reached where everyone is happy, or it is accepted that this is a blind alley. Rehearsal accepts that all ideas are ‘half-baked’ when they are first proposed and that the job of rehearsal is to try to fully bake the ideas. In business, we tend to be resistant to ‘playing around’ with ideas. There is no spirit of ‘yes, and…’ Ideas that are not yet fully baked tend to be shot down in flames and dismissed. The possibility of real rehearsal also presupposes the existence of a genuine ensemble: the group of people who are involved in rehearsal must leave their egos and their social or professional status outside the door of the rehearsal room. In business, ego and status normally get in the way. We hardly ever ‘rehearse’ – small groups of people decide what will happen and try to ‘implement’ this. It tends not to work very well. All performers know that what the audience sees and hears is the result of precise, much-practised behaviours – inputs – that often have no direct or obvious connection to the perceived result: the output. Successful dance moves begin from the feet, or the spine, or a tilt of the head. The right musical tone is created by a precise combination of b reath, lip and tongue, or of pressure and vibrato of finger and bow stroke. 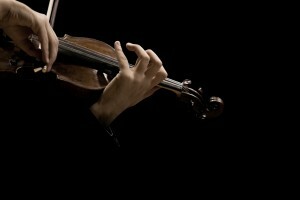 Performers focus on the inputs that they know will produce the right outputs. In business, we tend to focus almost entirely on the ‘results’ – the things that can be easily measured – and we lose focus on the inputs that are producing those results. It is perfectly possible for any project or organization to have a near-perfect set of results for a succession of quarters, but still to have unresolved problems at its heart that doom it to eventual failure. The quality of the inputs matters far more to our long-term business health than the more obvious outputs. Another way of seeing this is to recognise that intangibles are more important in business than the simplistic things that can be easily measured. The outputs that we can put numbers on all matter, but they are the result of other, far more important inputs, nearly all of which are effectively intangible: individual flair and flawless ensemble work; levels of trust, energy and commitment; creativity, inspiration and esprit de corps. To be able to assess these intangibles, the modern leader needs to have his or her finger on the pulse of the organization; to assess its physical and emotional health. Today’s successful leader is (or should be) less like an engineer, monitoring various dials, throwing levers and adjusting valves, and more like a director, choreographer or conductor, able to spot the false note that renders a performance unbelievable; a subtle change that could transform the mundane into the marvellous; a new pace and rhythm for the overall performance that could deliver a wonderful experience to the audience. Great directors do not carry clipboards and tick off the various measures that have been achieved. They know what play they are in and the make sure that everyone understands the roles they are playing. They know where their vital theatre of action is: the place where their performance is judged by the audience. They create working environments that engender trust and connection. They work at the inputs and forge true ensembles that are rehearsing creatively. They nudge the team in the desired direction with confidence that the final result (over which they can have no real control) will be a winning performance. Read more about Perform To Win: Unlocking the secrets of the arts for personal and business success, a business novel based on Mark’s ground-breaking arts-based leadership development programmes. An account of a four-year arts-based leadership development programme at Oxford University’s Saïd Business School, designed and run by Mark was given in a series of previous articles, beginning with ‘Changing Business Culture via the Performing Arts’. The authors acknowledge the contribution of Piers Ibbotson, ex-Royal Shakespeare Company member and now Teaching Fellow at the UK’s Warwick University Business School. Piers is the author of The Illusion of Leadership and a contributor to the authors’ book Perform To Win (see below) on which this article is based. This post is the last in a series of five articles describing a major arts-based leadership development programme at Oxford University’s Saïd Business School, designed and run over a four-year period by Dr Mark Powell, one of the authors of this article. Previous posts have looked at the way in which delegates to the programme worked with dancers, actors and jazz musicians. This final post explores the most ‘hands-on’– and for many delegates the most emotional – element of the programme: the experience of conducting a small chamber choir. The conducting sessions at Oxford were facilitated by Peter Hanke, a pioneer in this field. Peter is an established choral and orchestral conductor and an associate of the Centre for Art and Leadership at Copenhagen Business School. Peter recounts how, many years ago, he was asked to join a group of business people and give them the opportunity to conduct a small choir. Peter, who gives masterclasses in conducting to professional musicians, was struck by the fact that some of these business leaders, with little or no musical background, were nevertheless able to conduct the musicians quite successfully – sometimes more successfully, to Peter’s surprise, than some trained musicians. Peter argues that this is because conducting is not a metaphor for leadership, it is leadership – with the significant difference that it is entirely non-verbal leadership: in performance, the conductor can communicate only through body language and gesture. Successful business leaders have grasped some of the essentials of this vital aspect of communication (quite possibly unconsciously) and are able to use their skills to good musical effect. In the Oxford programme, delegates went through simple warm-up exercises – some basic ‘loosening up’ of arm movements and gesture – and then took turns in conducting the small professional choral group. The mood is relaxed and non-judgmental; the facilitator reminds everyone that they are among friends and that the aim is to explore and experience, not to compete. The choir has been briefed to respond precisely to what the delegates do. If the conductor sets a laboured pace, the choir will doggedly stick with this until the facilitator rescues everyone. If the conductor is agitated, the choir will be agitated; as the conductor relaxes, the music calms. Intriguingly, it quickly becomes obvious that far more subtle things are also being conveyed: nervousness, excitement, ebullience, reticence and delight all produce their quite distinctive timbres. If the conductor is too controlling, the music sounds forced; if they get over-excited, the music falls apart and the choir grind to a halt, with much good-natured laughter. As the exercise progresses, the facilitator gives practical advice, all of which is remarkably effective in improving the conductors’ performance. Delegates might be advised to lean backwards, for example, to convey expansiveness, rather than leaning forwards, which suggests scrutiny. Delegates are often advised to limit their arm movements – more contained gestures are more effective than dramatic arm-waving. Where the arms are held in relation to the body has a surprisingly distinct effect on the sound the choir produces. The sessions typically provoke a great deal of emotion. It is a rare privilege to be an active part of making beautiful music and the sound the choir produces, even in the hands of untrained conductors, is breath-taking, especially at such close quarters – delegates who are not conducting sit in amongst the choir. The sessions provide rich material for subsequent reflection about leadership. Because space is limited, we have set out below some of the typical key discussion issues, in bullet point form. Complex information is being transmitted from the conductor to the musicians, wordlessly. We tend to call this ‘emotional’ information, but the exercises demonstrate just how much information can be conveyed – both how subtle this can be, and how it shapes the whole performance. The choir have skills that the leader lacks, yet the conductor is able to lead them successfully; the leader produces results through the skills and efforts of others. The relationship is not one of control – the choir must be inspired, and it is impossible to command someone to be inspired. The choir is capable of keeping time and performing the piece well without a conductor, it is what the conductor/leader brings to the music that is of interest. The choir looks to the conductor/leader for direction; it wants to understand what the conductor wants, but it doesn’t want or need to be told what to do. The music produced by the choir sounds different depending on the actions of the conductor because the choir are physically affected by what they see: their diaphragms, lungs, throats and vocal chords behave differently. When the singers like the effect that a conductor is producing, they tend to point to parts of their chests or throats: ‘That feels good here,’ they say. It is a remarkable demonstration of the real effects of what we call ‘embodied leadership’. The success of the performance is judged by the beauty of the end result; good leadership produces more beautiful results. Seeing leaders as ‘people who conduct business’ is a highly useful tool for exploring business culture. Leaders and their organisations do perform together, but this performance is typically analysed only in terms of the usual metrics. We tend to forget the extent to which the relationship between leaders and their organizations is embodied – that any number of words are likely to be less effective than the perceived behaviour of leaders – and that there really is beauty in business performance, just as there is such a thing as a healthy (or ‘beautiful’) business culture. The authors of these articles argue that there is much to be gained by thinking of business as a performance, undertaken by genuine ensembles focussed on the effectiveness of the performance as a whole, where leadership is embodied, shared and allowed and where the outcome is best judged by how beautiful, or ‘affective’, the performance is. Businesses have audiences – ‘consumers’ – and if we deliver great performances, they will come back for more. A full analysis of the dance aspect of the programme was published in the Journal of Organizational Aesthetics under the title, ‘Dancing Lessons for Leaders: Experiencing the Artistic Mindset’. This post is the fourth in a series of five articles describing a major arts-based leadership development programme at Oxford University’s Saïd Business School, designed and run over a four-year period by Dr Mark Powell, one of the authors of this article. The aim was to create a new culture of ‘open mindedness’ among the senior project managers of a UK oil and gas exploration company, encouraging them to interact more effectively with the other stakeholders in their capital projects and enhancing their ability to improvise in the face of rapidly changing situations. This article focusses on the jazz-based sessions of the programme. These were facilitated by Dr Powell, using a group of musicians assembled for the day by a professional jazz trumpeter. The fact that the band was assembled ‘from scratch’ with players who happened to be available on the day helped to reinforce the fact that experienced jazz musicians are able to perform to a remarkably high standard without rehearsal. The structure of the jazz-based workshops was simple: the musicians played a few pieces with a high improvisational content; the delegates watched and listened and after each piece there was a discussion about what the musicians were doing and experiencing and about the experience of the ‘audience’. The closeness of the delegates to the musicians was crucial. Being only a few feet away from the performers brought the delegates into the performance; they could see the performers’ expressions and sense the interaction between them. Jazz is a rich field to explore in the context of organisational culture. There is only space in this article to cover some of the key ‘take-outs’ from a typical session. The first reaction of many delegates was to question whether what they had just heard could possibly have been created mainly in the moment rather than rehearsed: the musicians’ improvisational skills are startling. Delegates were intrigued by the way in which the musicians’ mastery allowed them great freedoms: their grasp of the underlying musical structures and their instrumental virtuosity gave them the ability to ‘feel’ what to play at any moment and, in effect, to innovate constantly. Delegates considered and discussed the extent to which this was possible in the business world. ‘Mastery of one’s brief’ was seen as a possible equivalent with the consequent ability to make quick and successful decisions. In more technical fields, delegates talked about how real ‘masters’ were able to see or ‘feel’ possible solutions before they could articulate the whole process. Delegates were also intrigued by the ability of an apparently ‘leaderless’ ensemble to behave in such a complex and coordinated way. Discussion centred on how leadership was effectively passed around the ensemble, with each player being empowered to take the piece in a new direction, while the musicians’ intense focus on each other’s performance allowed them to respond instantly to the offered suggestions. These shifting leaders can be described as being temporarily ‘in charge, but not in control,’ a concept that was also developed in the drama sessions of this programme. Delegates also noted how individual performances were subsumed to the overall performance. When a player took a solo, the rest of band dedicated their efforts to supporting them, picking up on new directions and offering their own rhythmic or tonal suggestions as inspiration. The soloists themselves were clearly working with the band to deliver a satisfying overall performance, rather than simply ‘showing off’. The musicians demonstrated what happened when they focused only on their own performance and stopped supporting each other’s performance – the music quickly degenerated into blandness or cacophony. This concept was similar to the one explored in the dance-related workshops in the programme, where dancers demonstrate what happens when the allowed leadership in a dance partnership degenerates into ‘push-pull’ – the dance immediately loses its grace. It also tended to strike delegates that people in business teams are typically more focussed on their individual contribution than on the success of the overall ‘performance’ and that there is not the same focus on supporting and enabling colleagues’ performances, other than in a managerial sense. Current business culture tends to favour the individualist. On the ‘jazz’ model of organizational culture, individual egos may be large and even flamboyant, but they are let loose only when it is the individual’s turn to ‘star’ and are kept in check when it is their turn to support. The energy from these various controlled egos drives the performance, lifting it out of the ordinary. In the authors’ experience, start-up companies very often have this kind of ‘jazz mentality’, with colleagues functioning as a genuine ensemble, driving each to deliver a greater overall performance. As companies grow, so industrial-era attitudes to control and efficiency tend to creep in, destroying the beautiful music. Ensemble players spark off one another’s performance: each player’s brilliance inspires the others’ and supplies a stream of new ideas. Individual egos are controlled and subsumed to overall performance; the energy is used to drive the ensemble. Mastery creates embodied knowledge; true masters of their craft ‘feel’ what to do next without analysis. Mastery and ensemble work allows teams to work together with little preparation and to improvise highly successful solutions. True ensembles are leaderless; leadership is shared, allowed and passed around. Great ensemble performance is made possible by each individual’s intense focus on their fellows, raising performances above ‘technically proficient’ and introducing real artistry. Ensemble players create spaces and invite others to fill them with new ideas. Read the last article in this series – Embodied Leadership: Conducting Business – which explores the non-verbal communication used by orchestral and choral conductors. This article first appeared on CultureUniversity.com under the title ‘Developing a Jazz Culture’. Use the audio player below to listen to LID Radio interviews with Mark and Jonathan about what business can learn from the arts (“Perform To Win”) and the need for Machiavellian intelligence in the workplace . Use the audio payer below to listen to LID Radio interviews with Mark and Jonathan about what business can learn from the performing arts (“Perform To Win”) and Machiavellian intelligence in the workplace. To contact Dr Mark Powell and Jonathan Gifford and for any enquiry you may have, please do . . .